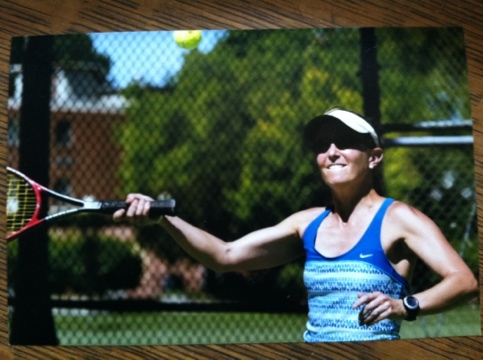 I was super lucky to be invited to Whitman Wine and Tennis Camp. 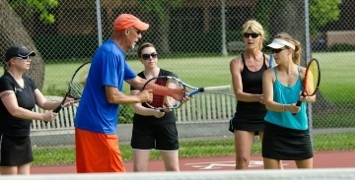 Four days or sixteen hours of nonstop tennis lessons. It was awesome!! 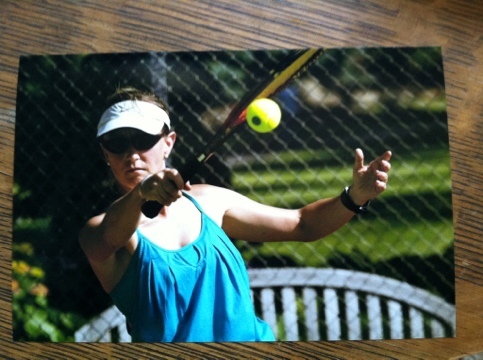 I have never played tennis before. Like, never, ever. I think I’ve played less tennis than soccer. 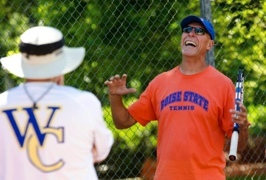 John Hein, the women’s Whitman tennis coach knows I’ve been very interested in learning to play tennis but I’ve never had the time or warewithall to take lessons. Our son has taken lessons and my husband has played with John but I’ve always been busy and frankly intimidated. As it turned out the camp was almost full but they needed 2 more beginners to match up with the people who paid to come to camp so I was invited. My friend Lori was also invited unbeknownst to me. Extra score! Side note- Lori has been a huge inspiration to my running. 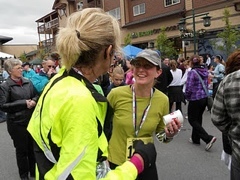 She was at the first half marathon in Couer D Alene I did and she encouraged me to do the full. I’m pretty terrible at tennis but I try really hard. Like a guy trying just too hard to impress a girl and it just is a bit off; they can’t seem to dance in sync. It’s not very attractive just like my tennis but I’ve got all the right outfits. I had a wonderful time and the coaches were simply amazing and remarkably patient. By the end of camp I was hitting some decent balls and gettin my two stepping dance moves down occasionally. Since attending the camp was time intensive I didn’t run any miles those days which was fine because I got plenty of exercise (god I sound like some sort of cattle dog that needs to be worn out). I plan on more tennis lessons for sure. It’s actually a pretty good family sport. Well, it could be with practice is more accurate. Again I feel really fortunate to have been thought of what a treat! There was a professional photographer too hence the all the nicely taken photographs. 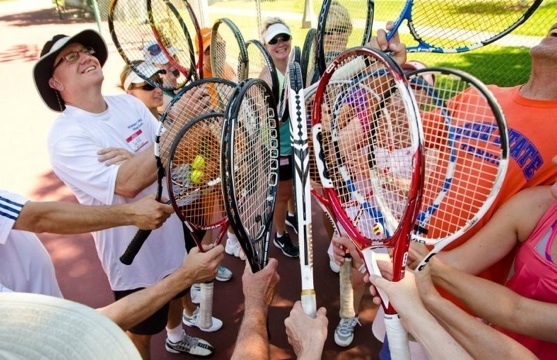 Do you play tennis? How long did it take before it was no longer awkward?